Hi everyone! I hope you're having a relaxed Bank Holiday weekend so far. I haven't done a Get The Look post in quite a while and I currently have a giant list FULL of people I want to feature over the next few months. 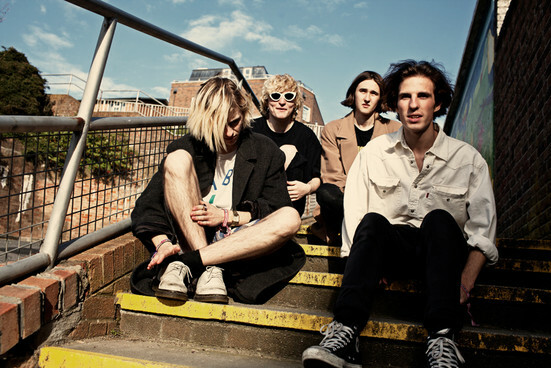 On top of the list, are one of my favourite bands at the moment - Swim Deep. Hailing from Birmingham, they were introduced to me two years ago via The 1975 and I fell instantly in love with them. Their first album 'Where The Heaven Are We' is one of my most played albums on Spotify - it's a glorious mix of chilled-out rock, with a hint of pop and indie. They've completely revamped their aesthetic and musical style for their new album, 'Mothers', set to release on 18th September. The first single from the album 'To My Brother' is BRILLIANT and completely different to 2013's record. In interviews they've said they've been influenced by acid house and Motown for their new sound but there's still a rock and pop influence. I'm always open to change when it comes to a bands' musical direction so I'm absolutely living for the new release. I've teamed up with Reading Festival for this post in particular as it's my first year going (AHHH!) and of course, these lads are playing. The line-up is absolutely incredible, I'm still speechless every time I look at it; Metallica, Alexisonfire, The Libertines, Kendrick Lamar, Royal Blood, Limp Bizkit, Wolf Alice, Years & Years.. you get the picture. Ah-mazing. You can still buy tickets for Reading Festival here - both weekend and day passes, which is always a lifesaver for those of you only wanting to see a handful of bands on one particular day. Expect a load of updates and snaps over the weekend of the festival (28th-30th August) and a follow-up blog post, of course. If you spot me there, don't be afraid to say hello! 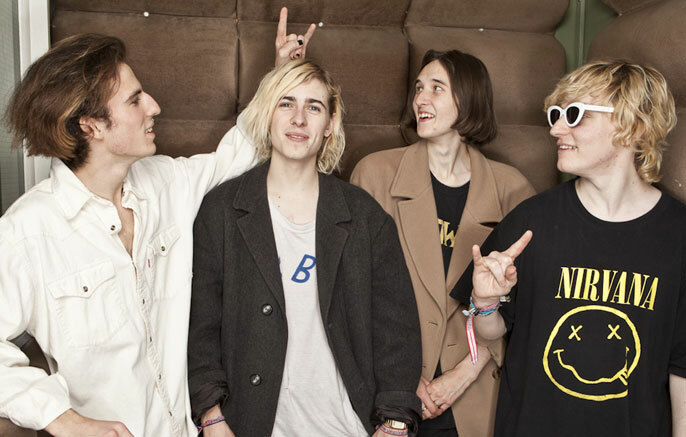 When it comes to Swim Deep's style, they switch it up and aren't afraid to delve into both laid-back casual grunge and tailored retro-inspired gear. What I love about their style as a whole, is that each member is quite effeminate in terms of dressing but has their own recognisable personal look. They're not afraid to experiment with colour, cut, texture - whether it be their clothing or their hair. They're incredibly interesting to look at, which is always a bonus when it comes to a band. 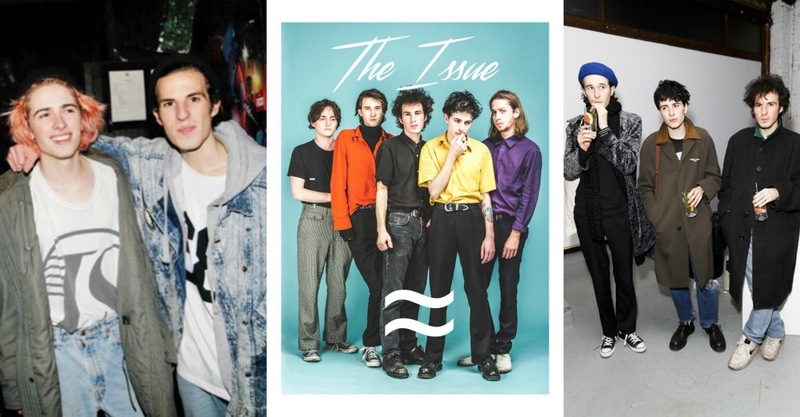 When Swim Deep started out it was all about grungey, oversized knits and comfort. 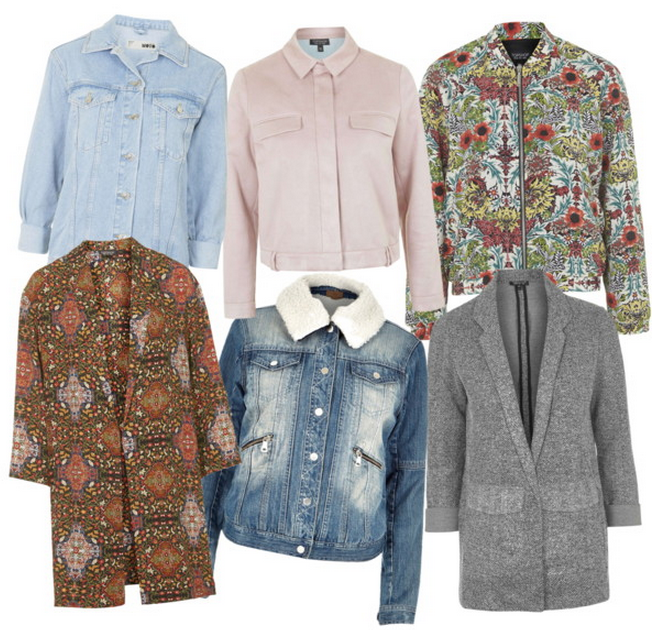 Think big denim jackets, vintage knitwear, jersey logo tees and 90's Levi jeans. 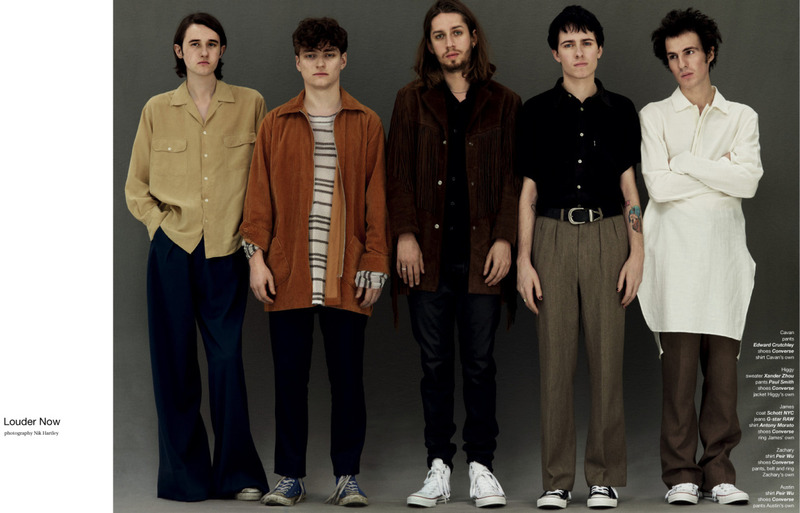 Now, they're going for a more overall "polished" look, gearing towards fitted trousers, block-coloured shirts, vintage overalls and tailored coats. Don't be afraid to wear both pastels and psychedelic prints; just make sure you balance them out with simple basics such as black or denim. Swim Deep have such an appealing and unusual style and I think it only adds to the brilliance and sound of their music - which they're also not afraid to experiment with. 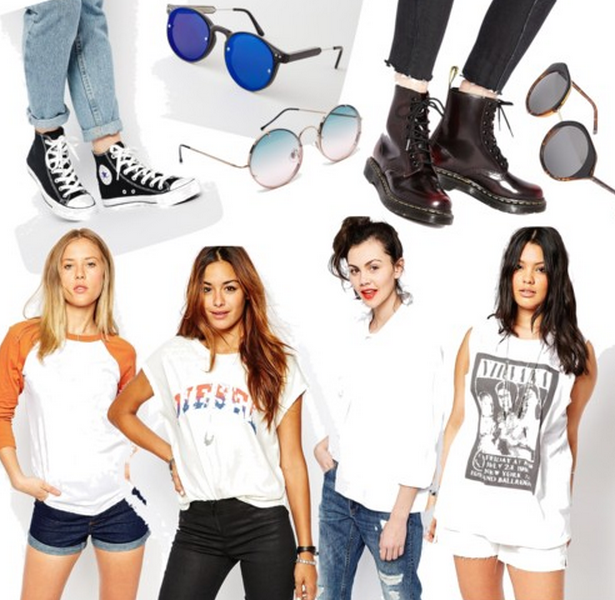 Their look is completely accessible and inspiring for both men and women and wouldn't break the bank in the slightest. 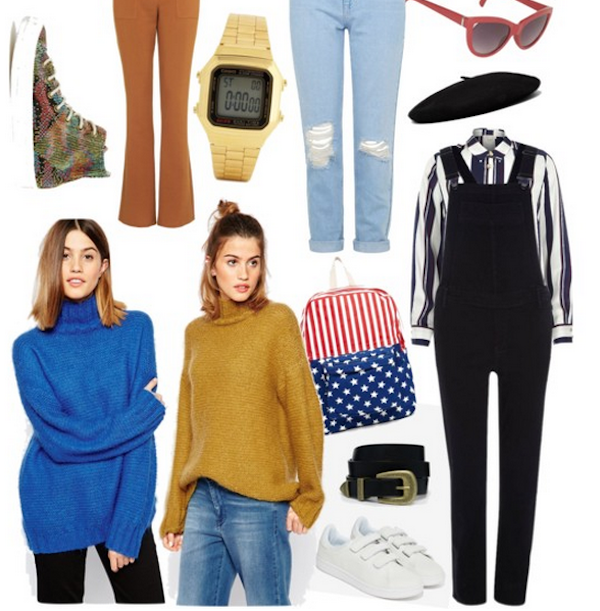 Mixing high-end with high-street, shopping in charity shops for knitwear and wearing old-school classics like Converse and Vans will have you looking like them in no time! Keep an eye on these guys - they will be huge, mark my words!